In July and August, 2017, Matt Shane and Jim Holyoak hiked the West Coast Trail, making sketches and taking photos along the way. They then spent 6 weeks drawing on site at Open Space Artist Run Centre in Victoria, BC. 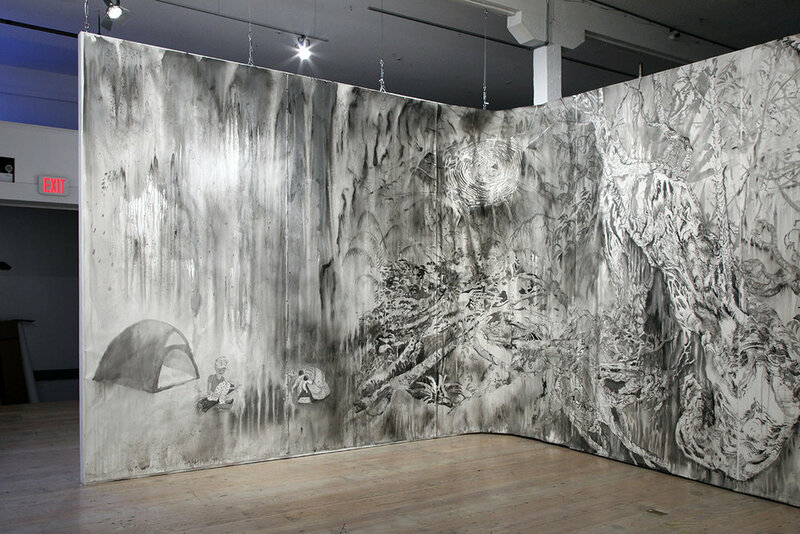 Their continuous, installational drawing detailed a world at once imaginary and referential to the West Coast of Vancouver Island. The artists see the drawing process as being connected to walking and thinking. In a sense, this project was composed of two parallel journeys-- one outside and one inside. Victoria is also where the two artists met in 1999.